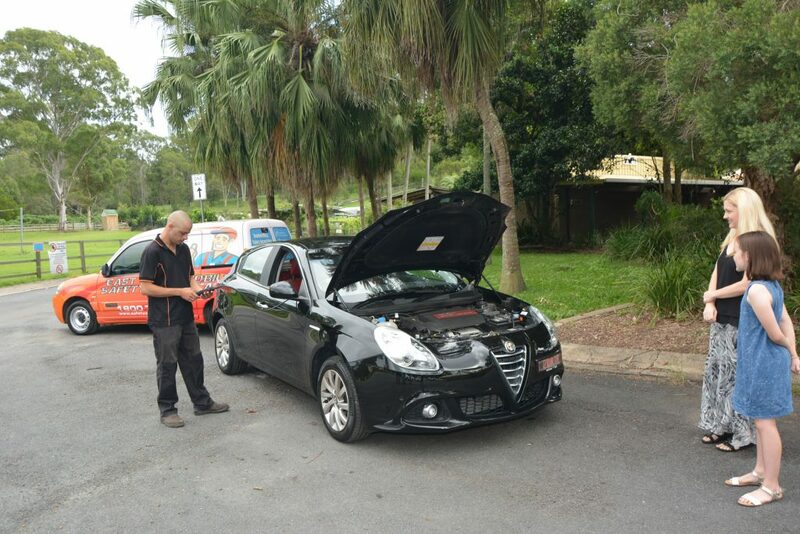 East Coast Mobile Safety Certificates & Mobile Tyre & Mechanical Services South East Queensland. Need Mobile Fleet Servicing? East Coast Mobile Safety Certificates makes it easier for you with mobile at work or home vehicle inspections, repairs, services and tyre replacement, repairs and fitting. With same day service available (subject to demands) at competitive rates! We will get you on the road fast with our Mobile Fleet Servicing. We have a comprehensive mechanic workshop at Ormeau and have mobile mechanics, tyre service vehicles and mobile roadworthy inspectors on the road six days a week and we have dedicated Mobile Fleet Servicing mechanics. All registered vehicles in Queensland must have a current Safety Certificate before they can be offered for sale. Our Mobile Fleet Servicing mechanics can provide you with this. A Safety Certificate will take approximately 40-50 minutes. At the completion of the inspection a detailed written report will be issued. If the vehicle fails inspection, you have fourteen days to rectify the problem and call us back out for a re inspection. We can also readily repair any issues that we find as part of our Mobile Vehicle Inspection Service. We can replace tyres, fix leaks, replace brakes, and many more repairs to ensure your certificate is issued when you need it.